Thousands of YouTube partners are making over $100,000 a year, according to Google (s GOOG) SVP and Chief Business Officer Nikesh Arora. The number was shared during Google’s second quarter earnings call on Thursday, where Arora pointed to YouTube as an acquisition that has paid off for the company. YouTube had previously put the number of six-figure earners in the hundreds. Arora recalled during the call how the press used to doubt whether YouTube could ever achieve a successful business model when the search giant acquired the site in 2006. “I think we can declare we found our model,” he said. Google (s GOOG) doesn’t usually talk much about YouTube during its earnings calls, and it stuck with its tradition Thursday to not break out any revenue numbers for YouTube. Instead, Arora pointed to business highlights, including the site’s partnership with NBC to stream the Olympics within the U.S. Arora also mentioned the YouTube upfront event, which he said was attended by 1,300 people. 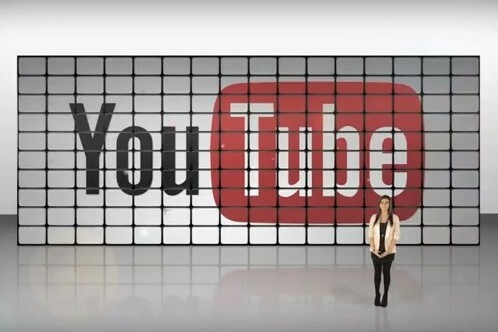 Google has been increasingly investing into programming on YouTube. The site unveiled a premium channel initiative late last year that included a reported $100 million in advances both for YouTube stars and traditional media brands who took their assets to YouTube as a result. And earlier Thursday, it announced that it is rewarding some 1,500 YouTube producers for successes with their channels on the site, with 80 of them receiving a golden play button, and everyone getting $500 gift certificates that can be put toward buying video equipment. To hear that it’s only thousands making 6 figures is sad. The scale of entertainment it provides to the world should provide more earnings potential than that. Youtube is about as popular as TV among some age groups. This thing should be viewed thru glasses like the app-store model. There is no reason content creators shouldn’t getting 70% of the proceeds that viewing / ads generate. Using Google’s network to play a video should be in line with these other renumeration models. If they made it more lucrative, then more interesting content will be created. Since Google isn’t a content company, they still don’t really understand this. They should take a lesson from Steve Jobs, and really allow these various developers to make some money. I know they survive on taking a ride on everyone’s content with their ad model, but it’s simply too greedy in it’s current form. A billion for me… 100k for you… another billion for me… 100k for you. Man I can’t understand how companies like Viacom and Disney, that are usually hard asses just bent over and let their content make YouTube what it is. I know that is a Clintonian spin on the statement…but I am always very suspicious of any entity that talks about how wonderful things are – but for some ill-defined reason always declines to provide specific numbers/information. For example, let’s talk specifics about the NY Times paywall subscribers…well, we can’t, can we? Most of those channels are using Red and Scarlet’s so sort of odd to offer them $500 gift cards for video equipment. Maybe for the memory cards? lol. 128 gig RED Mags are $1,250 each.